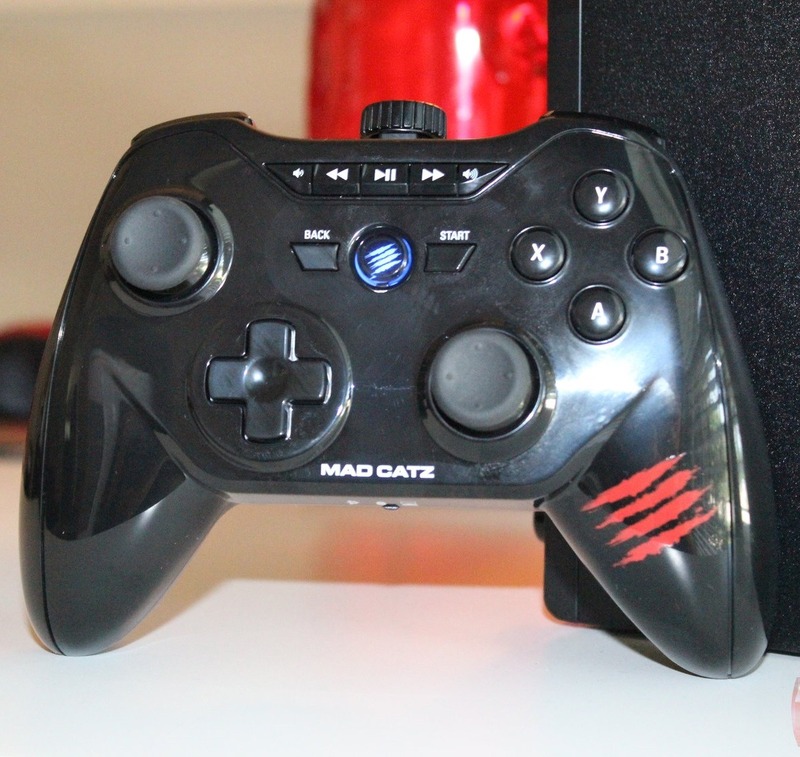 A few months ago, I reviewed Mad Catz's first console, MOJO. While I came away with mixed feelings about stock Android with nothing more than controller input, C.T.R.L.R. itself left me impressed (the name, on the other hand, is terrible). It's packed with useful buttons a-plenty, including full navigation, media, and volume controls. Now, Mad Catz has released a standalone version of CTRLR that can be used on any Android device (or Windows PC) over Bluetooth. It's essentially identical to MOJO's controller, save for some very minor aesthetic differences and a slight Bluetooth tweak. Several useful buttons, makes controlling Android via the controller much easier. It connects instantly. It's scary-fast. Can be slightly touchy, making precision control difficult. No way to gauge battery life until it's almost dead. If you read my MOJO review, then you may remember I had some issues getting the original CTRLR to work with other Android devices. 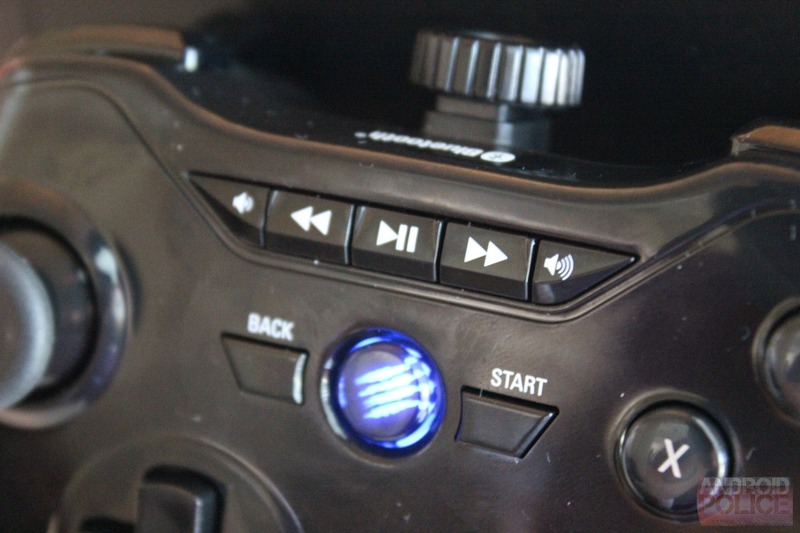 The reason for that is simple: MOJO's controller uses Bluetooth Smart (4.0) only. This version of CTRLR uses "classic" Bluetooth, which essentially makes it compatible with the majority of Android devices. 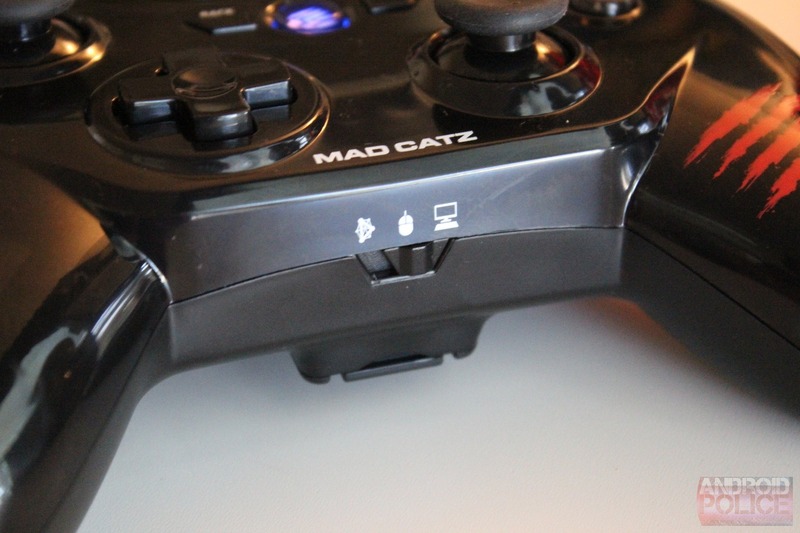 In addition to that, Mad Catz plans to release a firmware update for CTRLR that will enable BT Smart, as well, making it compatible with essentially everything. For testing purposes, I used CTRLR on SHIELD and my Nexus 7. You may be asking yourself why I'd use a controller on a device that already has a built-in controller. The answer to that is simple: console mode. When SHIELD is attached to a TV, an external controller is absolutely essential. I've been using the Nyko PlayPad Pro on SHIELD for the longest time (it's one of the few controllers with both home and back buttons), but the CTRLR feels a lot better to me so I couldn't wait to try it out. It worked beautifully on both devices, playing native games and with emulators. The full media and volume controls at the top of the controller are a very nice touch, as it made quick song changes or volume adjustments a snap without the need to actually touch the device. Brilliant. 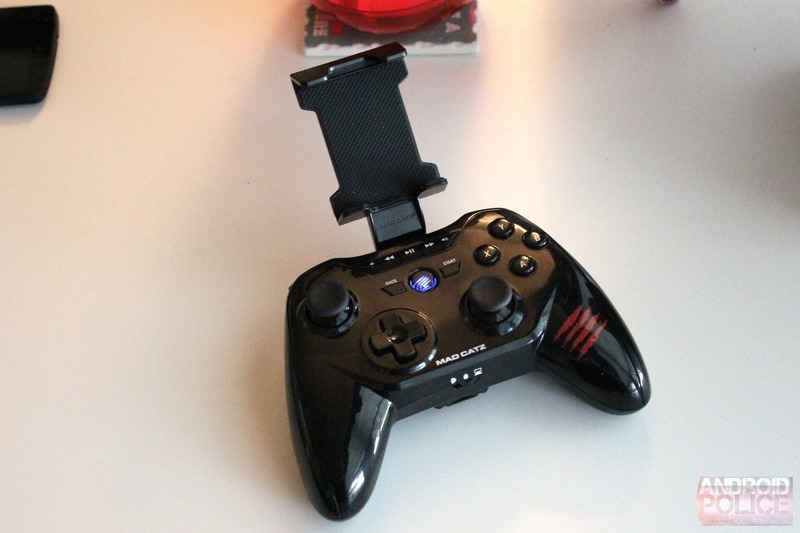 Game Mode: This is used to play any controller-compatible game on Android. From Dead Trigger 2 to Shadowgun, GTA, and emulators, this mode speaks the universal language of fun. Or something like that. Mouse Mode: As its name suggests, this essentially turns the controller into a mouse. Game mode can also be used to navigate the OS, though it's awkward and not as intuitive as mouse mode. 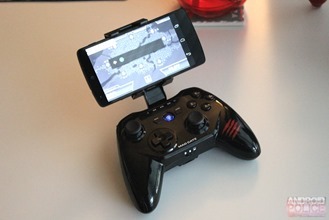 That said, Android is cumbersome to navigate using a controller no matter what, so it's kind of a moot point. PC Mode: PC mode is for using CTRLR to play games on Windows machines, as if you couldn't already guess that. Unfortunately, I couldn't get it to work. At all. Bummer. Update: Mad Catz got in touch about the PC issue - basically, it requires the CTRLR's desktop software (which I wasn't aware of at the time). If a game isn't supported, the buttons can be mapped, so it essentially supports all games. On the build quality front, CTRLR isn't a tank, but it seems to be built well enough – not quite Sony Dualshock or Microsoft-branded Xbox-level, but damn solid for a mobile controller. It's laid out a lot like an Xbox controller, which is often considered the most comfortable and intuitive layout. I'm not a big fan of the glossy plastic shell, as it's a fingerprint magnet, but I just generally don't care for glossy plastics on mobile electronics. It looks cheap to me. CTRLR also ships with a clip-on attachment that allows a phone to be placed in the arm, a la MOGA. I like that this component is removable instead of actually being a part of the controller itself, as it allows for a traditional gamepad layout (and more buttons), and if you don't plan on using it with your phone, you don't have the extra bulk on it at all times. Aside from the fact that I couldn't get CTRLR to work with my PC games, I think it's an overall great controller. It doesn't have the ability to charge mobile devices like PowerA's MOGA Power controllers, but the addition of full OS navigation, back/home buttons, and media/volume controls makes it a winner in my book. In fact, I think CTRLR is the controller to buy if you're looking to grab one for Android right now. Of course, it's worth keeping in mind that not all Android games support controller input, and without some sort of gamepad mapping software, you're still left with a limited selection at the end of the day (for the time being, anyway – eventually games should get controller support for Android TV). I think it's still worth having one around if you play mobile games in any sort of regular capacity. 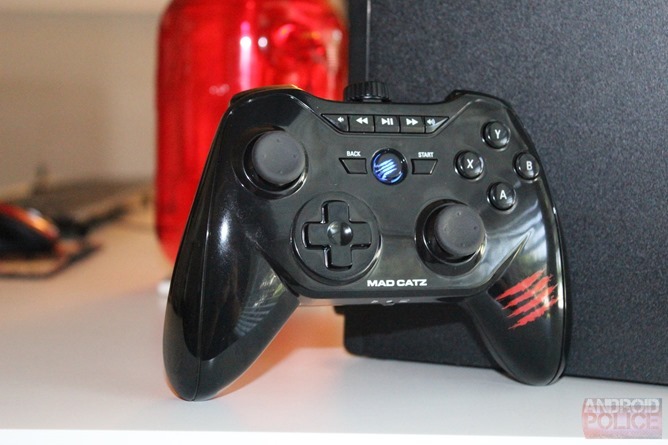 And for $50, it's hard to beat the CTRLR from Mad Catz.